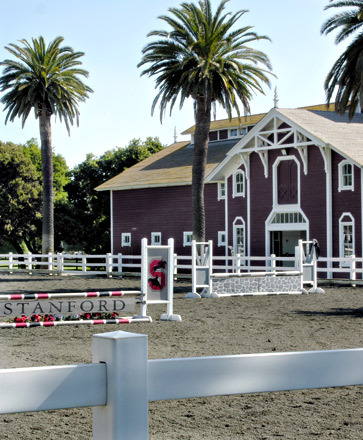 Rachel Williamson teaches and trains out of the beautiful historic Stanford Equestrian Center located in Palo Alto, California. This facility houses two outdoor arenas and two covered, lighted arenas. She also has horses at a private facility in Woodside, Sapphire Farm, with a full court dressage arena and access to beautiful trails. Rachel teaches clients at all levels and in a variety of disciplines. Her goal is creating better communication and understanding between horse and rider while also creating a fun and relaxing atmosphere that is conducive to both horse and rider success. Rachel offers full and partial training packages. She is also available for lessons, training rides, and show warm ups on an individual basis. Contact her directly for details about training packages, rates, and availability.